Children line up to lead Fr. 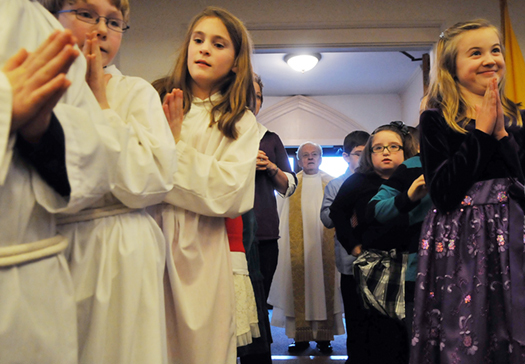 George Hickey, center, into the Christmas Eve Mass at Sacred Heart Catholic Church in Hallowell on Monday. The church was at standing room only capacity for the service to celebrate the birth of Jesus Christ.